230 pages | 9 B/W Illus. In Salman Rushdie’s novels, images are invested with the power to manipulate the plotline, to stipulate actions from the characters, to have sway over them, seduce them, or even lead them astray. 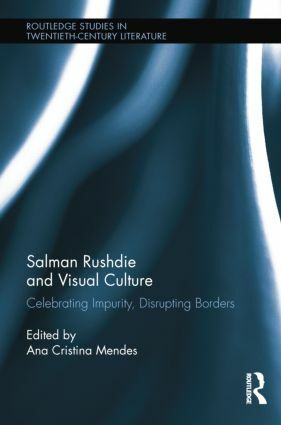 Salman Rushdie and Visual Culture sheds light on this largely unremarked – even if central – dimension of the work of a major contemporary writer. This collection brings together, for the first time and into a coherent whole, research on the extensive interplay between the visible and the readable in Rushdie’s fiction, from one of the earliest novels – Midnight’s Children (1981) – to his latest – The Enchantress of Florence (2008). Ana Cristina Mendes is a researcher at ULICES (University of Lisbon Centre for English Studies) in Portugal. Her interests span postcolonial cultural production and its intersection with the culture industries. Her publications include O Passado em Exibição (Cosmos, 2011) and the co-edited book Re-Orientalism and Re-Orientalism and South Asian Identity Politics: The Oriental Other Within (Routledge, 2011).